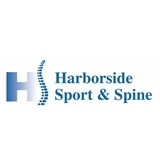 Harborside Sport & Spine (Jersey City) - Book Appointment Online! Harborside Sports & Spine is a professional, state-of-the-art, physical rehabilitation facility offering a variety of services including chiropractic, physical therapy, massage therapy, acupuncture and spinal decompression. By having access to all these services at one location, you can be confident that you will receive the appropriate type of care for your condition. At Harborside Sports & Spine, we want you to be comfortable with us and your customized therapy program. We take time to talk with you about your condition and what it will take to improve it, as well as listen to your concerns. Our staff members make sure that you fully understand all procedures and what you can expect before you begin your therapy program. Your program will include physical therapy, chiropractic, acupuncture, and massage therapy.